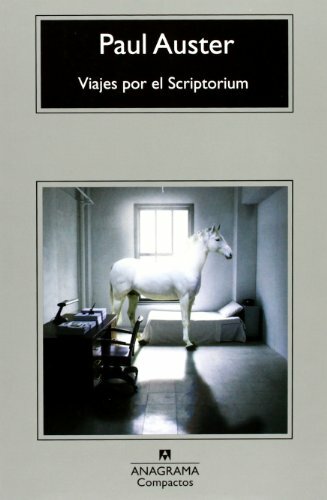 9788433973351 | Italian edition edition (Editorial Anagrama, November 10, 2008), cover price $13.95 | About this edition: Un hombre mayor esta encerrado en una habitacion. 9788433971173 | Editorial Anagrama, April 15, 2006, cover price $28.90 | About this edition: An elderly man awakens disoriented in an unfamiliar room, with no memory of who he is or how he got there, and receives visits from a series of people who give him frustrating hints about his identity and his past. 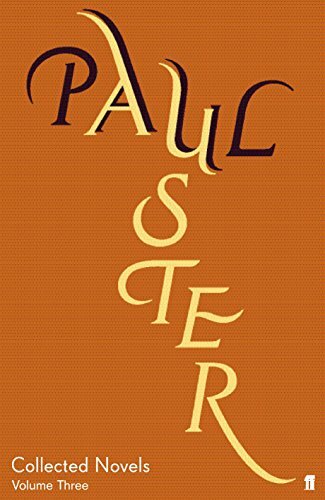 “I am alone in the dark, turning the world around in my head as I struggle through another bout of insomnia, another white night in the great American wilderness.”So begins Paul Auster’s brilliant, devastating tale about the many realities we inhabit as wars flame all around us. Seventy-two-year-old August Brill is recovering from a car accident in his daughter’s house in Vermont. When sleep refuses to come, he lies in bed and tells himself stories, struggling to push back thoughts about things he would prefer to forget – his wife’s recent death and the horrific murder of his granddaughter’s boyfriend, Titus. The retired book critic imagines a parallel world in which America is not at war with Iraq but with itself. In this other America the twin towers did not fall, and the 2000 election results led to secession, as state after state pulled away from the union, and a bloody civil war ensued. As the night progresses, Brill’s story grows increasingly intense, and what he is so desperately trying to avoid insists on being told. Joined in the early hours by his granddaughter, he gradually opens up to her and recounts the story of his marriage. After she falls asleep, he at last finds the courage to revisit the trauma of Titus’s death. Passionate and shocking, Man in the Dark is a story of our moment, an audiobook that forces us to confront the blackness of night even as it celebrates the existence of ordinary joys in a world capable of the most grotesque violence. 9781410410221 | Large print edition (Thorndike Pr, November 3, 2008), cover price $31.95 | About this edition: “I am alone in the dark, turning the world around in my head as I struggle through another bout of insomnia, another white night in the great American wilderness. 9780571248155 | Signed edition (Gardners Books, October 16, 2008), cover price $22.95 | About this edition: A new novel with a dark political twist from “one of America’s greats. 9780805088397 | Henry Holt & Co, August 19, 2008, cover price $23.00 | About this edition: A new novel with a dark political twist from “one of America’s greats. 9780312356583 | St Martins Pr, May 1, 2009, cover price $7.99 | About this edition: A new novel with a dark political twist from “one of America’s greats. 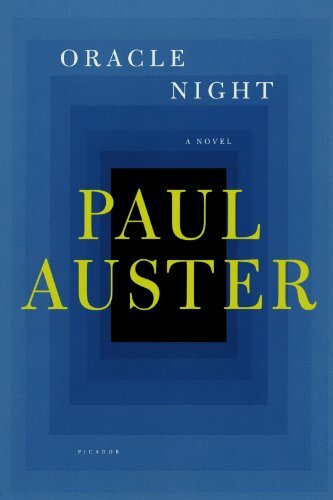 9780312428518 | Reprint edition (Picador USA, April 27, 2009), cover price $16.00 | About this edition: A Washington Post Best Book of the Year"Man in the Dark is an undoubted pleasure to read. 9781427205513 | Unabridged edition (St Martins Pr, August 19, 2008), cover price $24.95 | About this edition: “I am alone in the dark, turning the world around in my head as I struggle through another bout of insomnia, another white night in the great American wilderness. 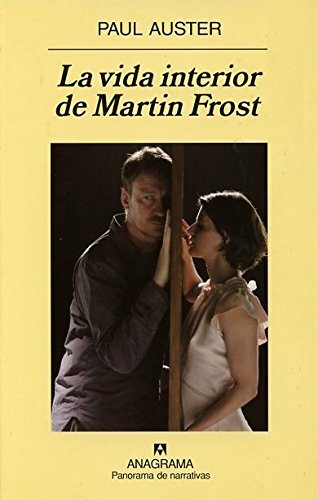 9788433974549 | 2 edition (Editorial Anagrama, October 15, 2007), cover price $29.49 | About this edition: Martin Frost se refugia en la soledad de la casa de campo de un matrimonio amigo, para escribir un libro de relatos. 9780312427030 | Picador USA, May 15, 2007, cover price $18.00 | About this edition: Seeking peace and solitude, writer Martin Frost borrows a friend's country house, only to have his refuge invaded by a young woman named Claire, who claims to be the owner's niece. 9780805054071 | Henry Holt & Co, May 1, 1999, cover price $22.00 | About this edition: Mr.
9780312428945 | 2 edition (Picador USA, April 27, 2009), cover price $15.00 | About this edition: Mr.
9780571203291 | Faber & Faber Ltd, June 1, 2000, cover price $6.99 | About this edition: Mr Bones is the canine sidekick and confidant of Willy G.
9781501227783 | Mp3 una edition (Brilliance Audio, April 28, 2015), cover price $14.99 | About this edition: Meet Mr.
9780786265053 | Large print edition (Thorndike Pr, May 1, 2004), cover price $29.95 | About this edition: A New York Times Bestselling AuthorA New York Times Notable Book of 2003Several months into his recovery from a near-fatal illness, novelist Sidney Orr enters a stationery shop in Brooklyn and buys a blue notebook. 9780805073201 | Henry Holt & Co, December 1, 2003, cover price $23.00 | About this edition: Recovering from a near-fatal illness, Sidney Orr, a thirty-four-year-old novelist, purchases a mysterious blue notebook from a Brooklyn stationery shop and is drawn into a bizarre world of eerie premonitions and baffling events. 9780312428952 | Picador USA, April 27, 2009, cover price $17.00 | About this edition: Several months into his recovery from a near-fatal illness, thirty-four-year-old novelist Sidney Orr enters a stationery shop in the Cobble Hill section of Brooklyn and buys a blue notebook. 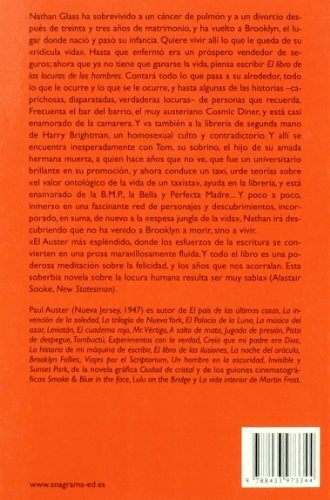 9780312423667 | Reprint edition (Picador USA, November 1, 2004), cover price $14.00 | About this edition: Recovering from a near-fatal illness, Sidney Orr, a thirty-four-year-old novelist, purchases a mysterious blue notebook from a Brooklyn stationery shop and is drawn into a bizarre world of eerie premonitions and baffling events. 9780060589844 | Unabridged edition (Harperaudio, December 1, 2003), cover price $34.95 | About this edition: Recovering from a near-fatal illness, Sidney Orr, a thirty-four-year-old novelist, purchases a mysterious blue notebook from a Brooklyn stationery shop and is drawn into a bizarre world of eerie premonitions and baffling events. An elderly man awakens disoriented in an unfamiliar room, with no memory of who he is or how he got there, and receives visits from a series of people who give him frustrating hints about his identity and his past. 9781400133741 | Unabridged edition (Tantor Media Inc, March 1, 2007), cover price $49.99 | About this edition: An elderly man awakens disoriented in an unfamiliar room, with no memory of who he is or how he got there, and receives visits from a series of people who give him frustrating hints about his identity and his past. 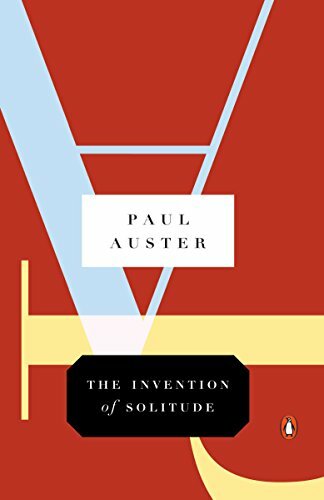 9780143112228, titled "The Invention of Solitude" | Penguin USA, January 30, 2007, cover price $15.00 | About this edition: From Paul Auster, author of the forthcoming 4 3 2 1: A Novel – his very first book, a moving and personal meditation on fatherhoodThis debut work by New York Times-bestselling author Paul Auster (The New York Trilogy), a memoir, established Auster’s reputation as a major new voice in American writing. 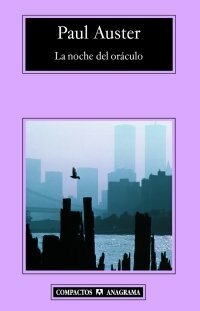 9788433972729 | Editorial Anagrama, January 15, 2007, cover price $14.95 | About this edition: Sidney Orr es escritor, y esta recuperandose de una enfermedad a la que nadie esperaba que sobreviviera. 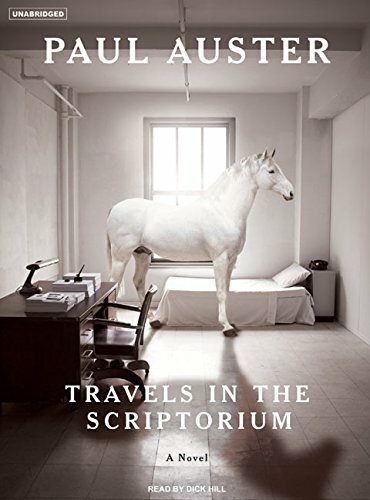 An elderly man awakens disoriented in an unfamiliar room, with no memory of who he is or how he got there, and as he waits, visited by a series of people who give him frustrating hints about his identity and his past, he peruses the relics on the desk, including a mysterious manuscript about another prisoner in an alternate world. Reprint. 75,000 first printing. 9780786296422 | Large print edition (Thorndike Pr, July 5, 2007), cover price $30.95 | About this edition: An old man awakens, disoriented, in an unfamiliar chamber. 9780805081459 | Henry Holt & Co, January 23, 2007, cover price $22.00 | About this edition: An elderly man awakens disoriented in an unfamiliar room, with no memory of who he is or how he got there, and receives visits from a series of people who give him frustrating hints about his identity and his past. 9780571232550 | Gardners Books, October 5, 2006, cover price $21.00 | About this edition: An old man sits in a room, with a single door and window, a bed, a desk and a chair. 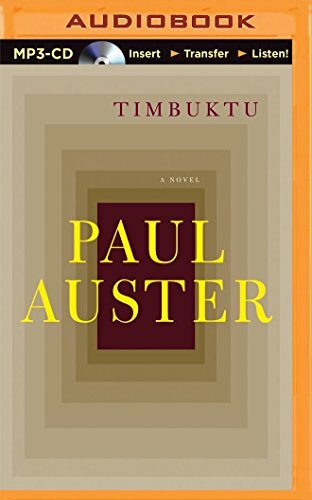 9780312426293 | Reprint edition (Picador USA, December 26, 2007), cover price $14.00 | About this edition: An elderly man awakens disoriented in an unfamiliar room, with no memory of who he is or how he got there, and as he waits, visited by a series of people who give him frustrating hints about his identity and his past, he peruses the relics on the desk, including a mysterious manuscript about another prisoner in an alternate world. 9780312948405 | St Martins Pr, May 1, 2007, cover price $7.99 | About this edition: An old man awakens, disoriented, in an unfamiliar chamber. 9781400153749 | Mp3 una edition (Tantor Media Inc, March 1, 2007), cover price $19.99 | About this edition: An elderly man awakens disoriented in an unfamiliar room, with no memory of who he is or how he got there, and receives visits from a series of people who give him frustrating hints about his identity and his past. 9781400103744 | Unabridged edition (Tantor Media Inc, March 1, 2007), cover price $24.99 | About this edition: An elderly man awakens disoriented in an unfamiliar room, with no memory of who he is or how he got there, and receives visits from a series of people who give him frustrating hints about his identity and his past. 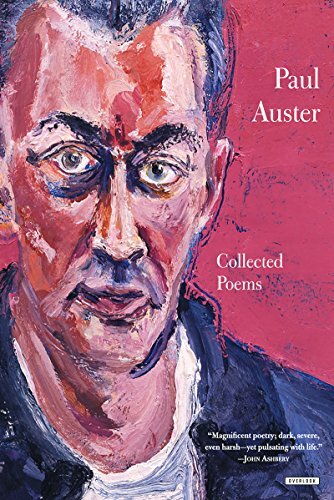 9780802118189 | Grove Pr, March 28, 2006, cover price $24.00 | About this edition: Edited by Paul Auster, this fourâvolume set of Beckett's canon has been designed by award-winner Laura Lindgren. 9780802118196 | Grove Pr, March 28, 2006, cover price $24.00 | About this edition: Edited by Paul Auster, this fourâvolume set of Beckett's canon has been designed by award winner Laura Lindgren. 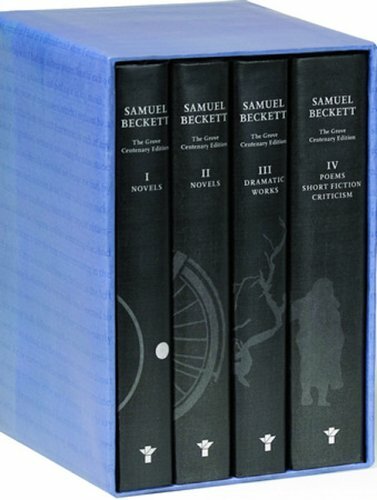 9780802118202 | Grove Pr, March 28, 2006, cover price $24.00 | About this edition: Edited by Paul Auster, this fourâvolume hardcover set of Beckett's canon has been designed by award-winner Laura Lindgren. 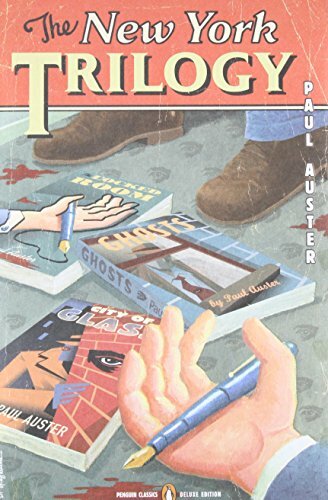 Quinn, a mystery writer, becomes involved in a puzzling case; Blue is hired by White to spy on Black; and Fanshawe, a gifted novelist, disappears, leaving his family and work behind, in an omnibus edition containing three interconnected novels--City of Glass, Ghosts, and The Locked Room. Reissue. 25,000 first printing. 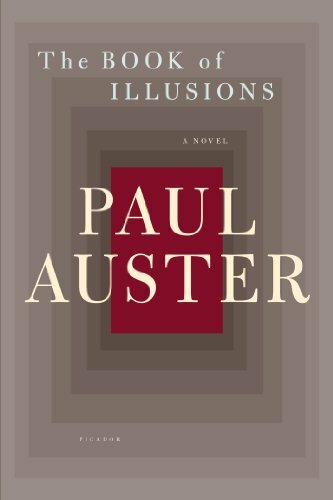 9781557131669 | Sun & Moon Pr, June 1, 1995, cover price $21.95 | About this edition: Paul Auster's brilliant debut novels, City of Glass, Ghosts, and The Locked Room brought him international acclaim for his creation of a new genre, mixing elements of the standard detective fiction and postmodern fiction. 9780143039839 | Reissue edition (Penguin Classics, March 28, 2006), cover price $18.00 | About this edition: Quinn, a mystery writer, becomes involved in a puzzling case; Blue is hired by White to spy on Black; and Fanshawe, a gifted novelist, disappears, leaving his family and work behind, in an omnibus edition containing three interconnected novels. 9780802118318 | Slp edition (Grove Pr, March 23, 2006), cover price $100.00 | About this edition: Edited by Paul Auster, this fourâvolume set of Beckett's canon has been designed by award winner Laura Lindgren. 9780805067149 | Henry Holt & Co, October 1, 2001, cover price $25.00 | About this edition: A collection of 180 personal, true-life accounts from NPR's National Story Project reflects the work of men and women of all ages, backgrounds, and walks of life and is accompanied by a look at the role of storytelling in our lives. 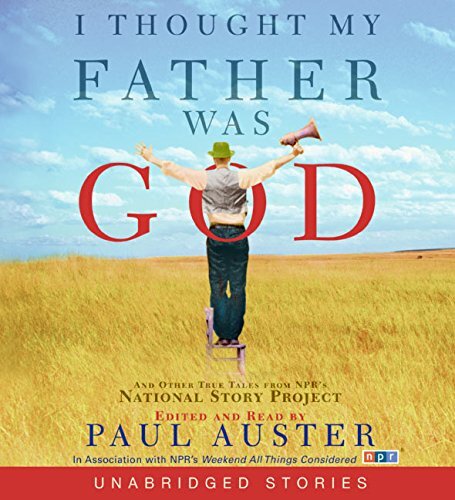 9780312421007 | Reprint edition (Picador USA, September 1, 2002), cover price $20.00 | About this edition: A collection of 180 personal, true-life accounts from NPR's National Story Project reflects the work of men and women of all ages, backgrounds, and walks of life and is accompanied by a look at the role of storytelling in our lives. 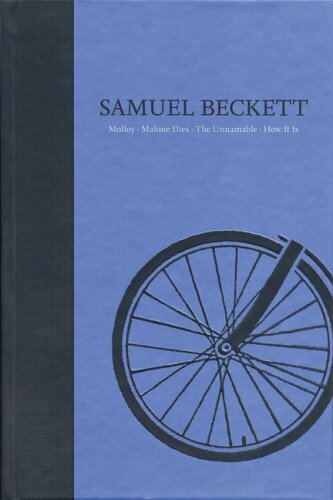 9780060874117 | Unabridged edition (Harperaudio, September 1, 2005), cover price $34.95 | About this edition: One of America's foremost writers collects the best stories submitted to NPR's National Story Project -- and illuminates the powerful role of storytelling in all our lives. 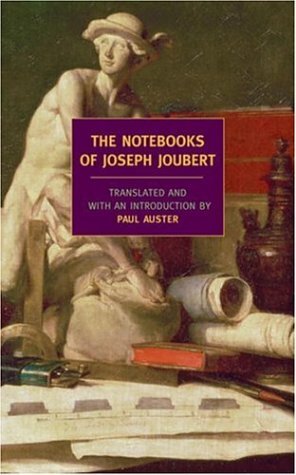 9781590171486 | New York Review of Books, June 30, 2005, cover price $16.95 | About this edition: The elusive French luminary Joseph Joubert is a great explorer of the mind's open spaces. 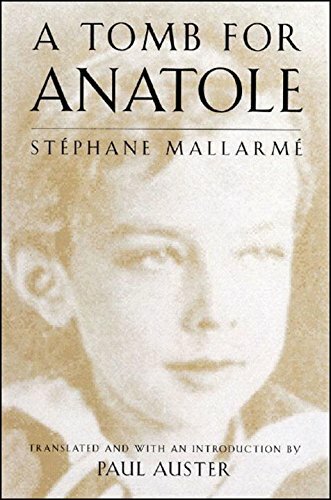 9780811215930, titled "A Tomb for Anatole" | New Directions, June 1, 2005, cover price $16.95 | About this edition: An immensely moving poetic work addressing inconsolable sorrow: a father's pain over the death of his child.